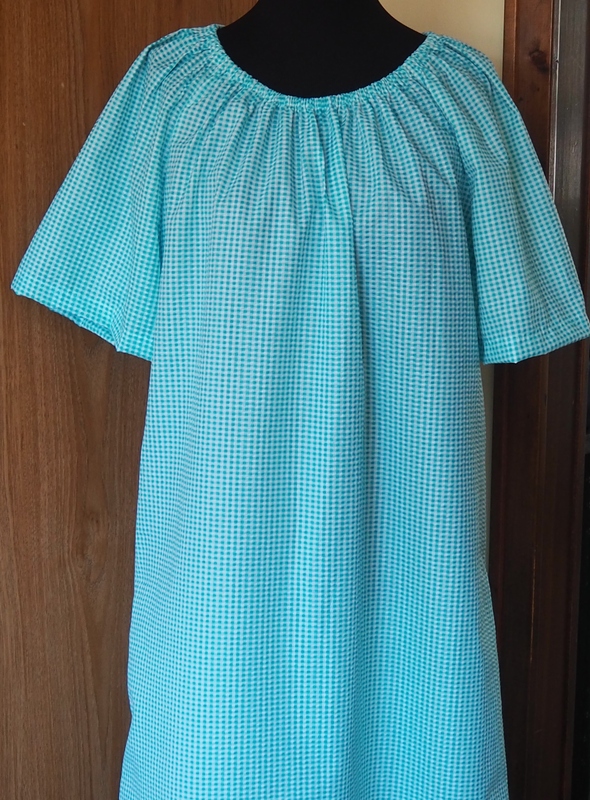 This nightgown is pullover the head with short sleeves. Poly/cotton seersucker. Machine wash - tumble dry. Comes in sizes X Small through X Large. Length choices are 42, 46 and 50.